How do you store that big bag of dog food after you lug it in from the car? Do you crack the seal and leave it in a corner? Dump it into an easy-access tote? More importantly, how should you store it? 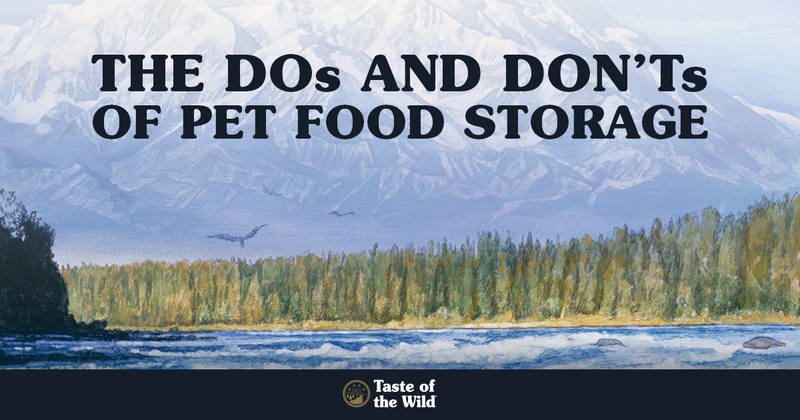 Taste of the Wild has some tips and best practices for you! What food you feed your pet matters, but where you store it is almost as important. 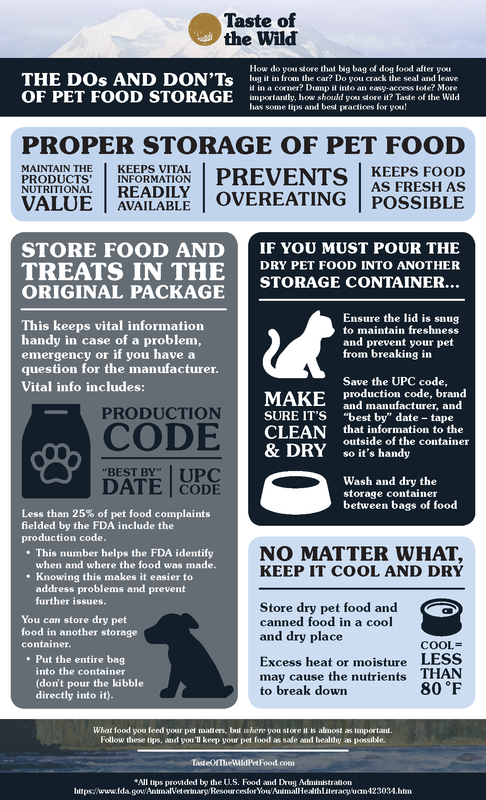 Follow these tips and you’ll keep your pet food as safe and healthy as possible.